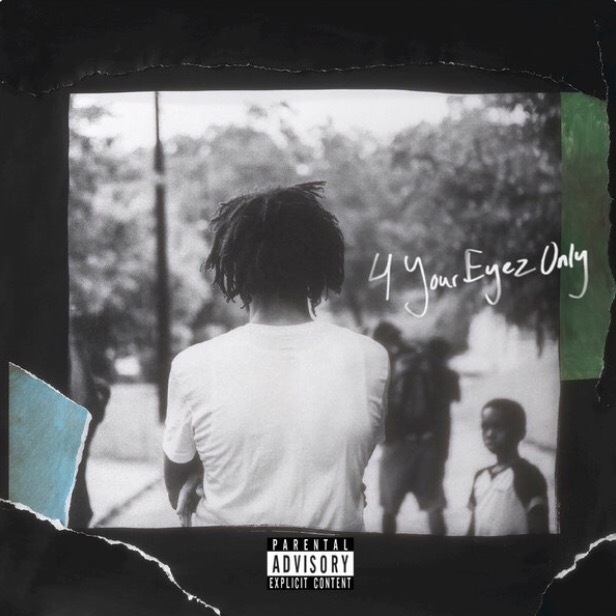 J. Cole’s 4 Your Eyez Only is a love letter to Hip Hop. The interesting thing about J Cole is that their is a segment of the population who loves him and another who feels like he is cool and not living up to his potential. I can say with utmost certainty that J. Cole is easily one of the most talented and honest artists that we have come across in many years. This recent project has been in the making for the past 2 years. At first listen the music sort of blended into my surroundings. I knew it was dope but I wasn’t tuned in. When I came back to it I was focused and what I found was that this is not an album of thrown together songs. It has a common theme of redemption, forgiveness and love. Now the average Hip Hop fan was probably not checking for that after the release of “False Prophets” and “Everybody dies”, two songs released before the the album was dropped. Interestingly neither song is on the album. Cole hit his fans with the old one two. He dropped some heat for them and then provided a project full of thought and substance. This is a project from an emcee who has matured with every release. There are a few standout songs. “Foldin Clothes” is a song where Cole laments on his love for his significant other and wants to show his appreciation “If I could make life easier , the way you do mine save you some time alleviate a bit of stress from your mind help you relax let you recline.” “She’s Mine part 2” is the most personal and emotional of all the songs from the project. It’s a song about his daughter. He speaks on his love for her. “Reminisce when you came out the womb tears of joy I think fill up the room you are now the reason that I fight I ain’t never did nothin this right tinny whole life.” Even as he shares this deep emotion he still touches on the economic struggles of Black people on Black Friday. 4 Your Eyez Only touches minds and souls in a way that autotune never could. Excellent work Mr. Cole. This entry was posted in Reviews and tagged 4 Your Eyez Only, Dreamville, hip-hop, J. Cole, rap by Precise. Bookmark the permalink.